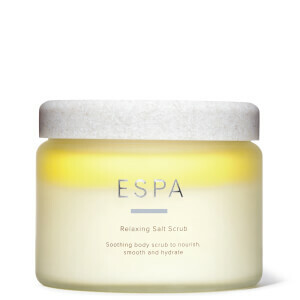 A deeply nourishing cleansing balm to leave skin feeling soft and smooth. Skin-softening Beeswax transforms with water into a rich cleansing cream, Rose Geranium gently calms and Rose Damascena helps tone and firm to leave skin feeling cleansed, comforted and beautifully supple. 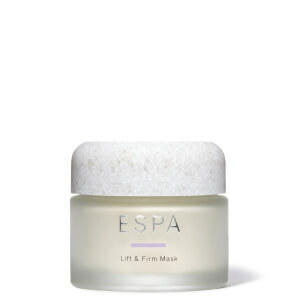 Warm and soften a small amount in your fingertips before gently massaging over your face, neck and décolleté in small, circular movements. Lather with warm water to transform into a rich cream before rinsing away with a damp muslin cloth. Repeat as desired to remove all traces of stubborn make-up and leave skin beautifully clear. Suitable for all skin types, especially mature, dry or dehydrated. Vitis Vinifera (Grape) Seed Oil, Prunus Amygdalus Dulcis (Sweet Almond) Oil, Cetearyl Alcohol, PEG-8 Beeswax, PEG-6 Caprylic/Capric Glycerides, Sorbitan Stearate, Caprylic/Capric Triglyceride, Olea Europaea (Olive) Fruit Oil, PEG-60 Almond Glycerides, Pelargonium Graveolens Flower Oil, Silica, Phenoxyethanol, Caprylyl Glycol, Citronellol, Lecithin, Geraniol, Ascorbyl Palmitate, Tocopherol, Linalool, Helianthus Annuus (Sunflower) Seed Oil, Sorbic Acid, Cananga Odorata Flower Oil, Citral, Mentha Viridis (Spearmint) Leaf Oil, Rosa Damascena Flower Oil. The best cleansing agent for your face. Use every night, along with a touch of exfoliation, and I’ve never had any breakouts on my chin as I frequently did before using this! I have been using cleansing balm for 20 years, my mornings wouldn't be the same without this gentle wake up balm which leaves my skin clean and moisturised. Wonderful product and so natural. This is a perfect gentle and nourishing cleanser for anyone’s skin but especially gorgeous when skin is ageing and requires that little bit extra moisture and gentleness. It leaves my skin feeling properly cleansed and beautifully soft. I would highly recommend this product. It lasts for ages too which is a fantastic bonus. This does exactly as it promises and feels like new baby skin. Magical. I absolutely love this cleansing balm. Not only does it cleanse and refresh my skin, My whole being feels refreshed. I was disappointed to realise some time ago that even though you have not put up the cost of this balm you have reduced the quantity from 60g to 50g!! A bit underhand I thought. However, as it's so good I don't wish to try another product. Helps to wipe away any residual make up after washing. Makes my skin feel super soft and looks glowing! This is the second year I have switched to the cleaning balm over the winter months and I have to say it is the best decision if like me you work in an air conditioned office and have a husband that likes the heating up too high in the house! I also love the fact that it takes make-up off without too much trouble. Gorgeous but need a bigger size. I love this cleanser. It really does remove make-up and nourish your skin at the same time. It rinses away easily and smells gorgeous too. The only problem is it comes in such a small pot for the price and I would prefer 100mls which would last longer and would be more economical to sell as it would use less packaging overall and be more environmentally friendly.